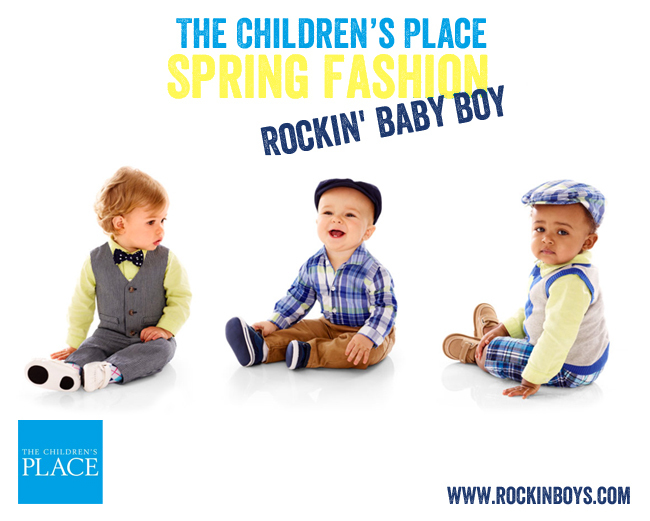 Spring fashion is in full swing at The Children’s Place. It my favorite time to put away the winter colors and long sleeve and get some fresh colors into my boys wardrobes. I also love that this is the season to get them cute clothes for their Easter pictures. One of the only time of the year we really get dressed up. 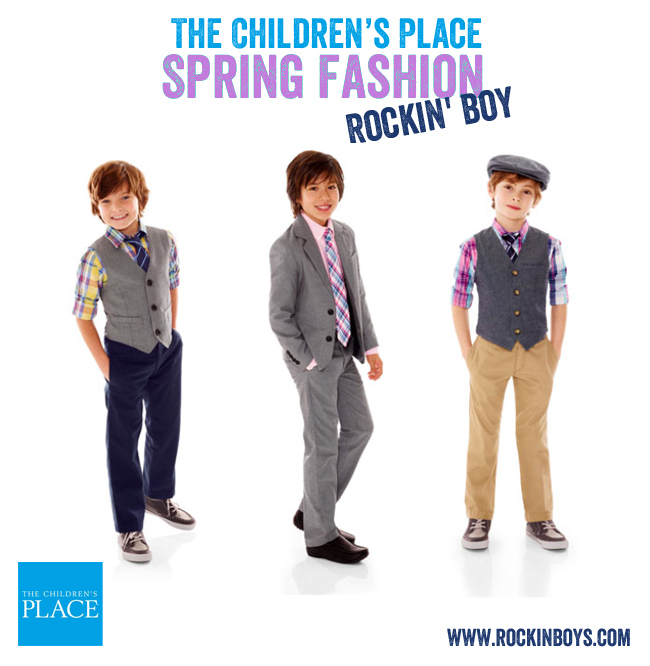 The Children’s Place has many great dressy styles for your rockin’ boys. Snazzy hats and cute little shoes are what makes dressing baby boys totally fun. A pair of plaid shorts can easily go from dressy to casual. By pairing them with cute sweater vest and hat you ‘ll have a picture perfect spring outfit. For everyday wear, just pair the plaid short with a fun logo tee or polo shirt. For your toddlers boys, how about a darling little bow tie. I just can’t get enough of boys in bow ties. And don’t be afraid to mix and match colors, prints and plaids. Start with a base color and build from there. A fun pair of shoes with finish of your spring look. For your bigger boys it’s all about style. A tie and vest will make your boys look super sharp in their Spring pictures. For a hip and more casual look, pair them with a great pair of jeans and sneakers. Bight pops of color are all the rage. Neutral gray pants, vest or jackets make a great base to add bright spring colors to. It’s not too late to get your boys ready for spring. 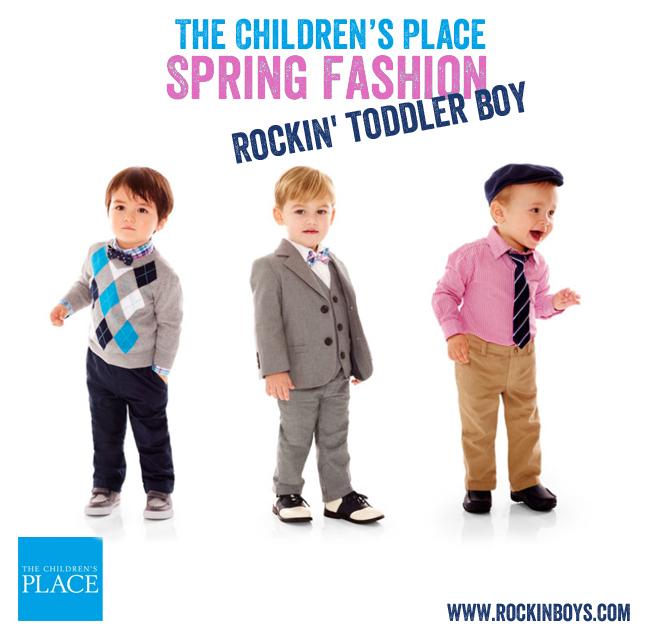 Check out The Children’s Place to get your boys some great looking dapper duds!